The Tourist Handbook Wessex is an acclaimed high quality annual guide to Dorset, Hampshire and the county borders, with 1850 copies on permanent display in self-catering cottages, farmhouse accommodation, country hotels and quality guesthouses throughout the counties from Easter onward each year, and a readership in excess of 245,000. For over 30 years visitors have found the full colour format coupled with superb editorial, photography and highest quality ‘perfect bound’ finish an absolute delight to read. 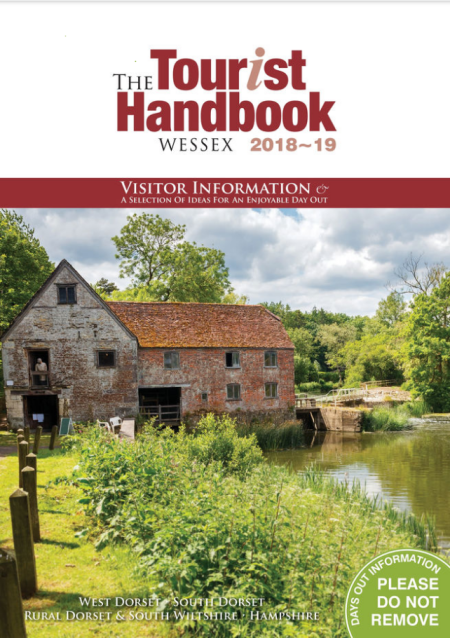 The Tourist Handbook Wessex takes the visitor on a journey across the counties of Dorset, Hampshire and South Wiltshire with stunning pages filled with unusual and interesting information and wonderful images. Browse our pages and discover new places to visit, activities for all tastes and of course, lovely places to eat, drink and relax at the end of a perfect day in our lovely counties. Advertise YOUR business in The Tourist Handbook next year! If you’d like your business to feature in this quality publication, we’d be delighted to hear from you. Please contact us for further details.